Since I moved back to DC, I’ve started eating vegetarian again (with fish and seafood on occasion) and taking a more comprehensive approach to being healthy by working out and cooking the majority of my meals. 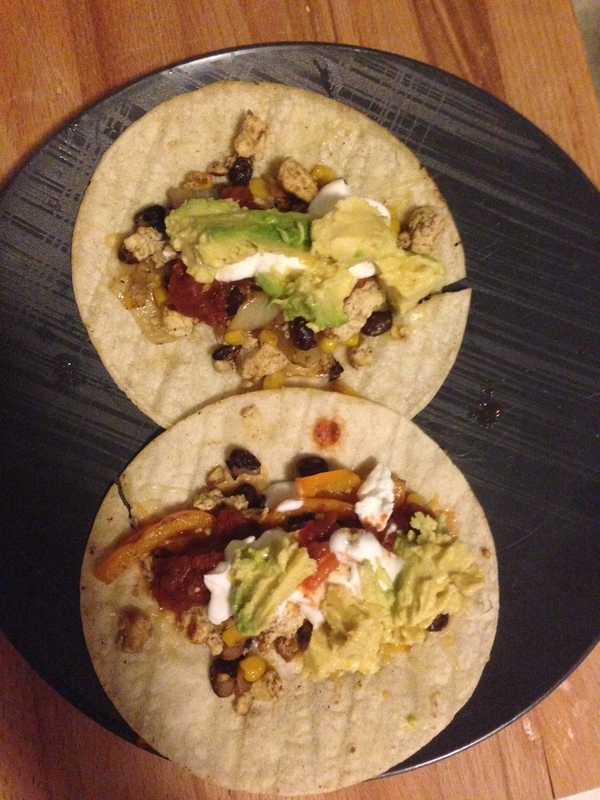 This Tofu Taco recipe is one of my favorites and tastes better than any beef or chicken tacos I’ve ever had, although I can’t compare it to my favorite dish in the world, fish tacos. 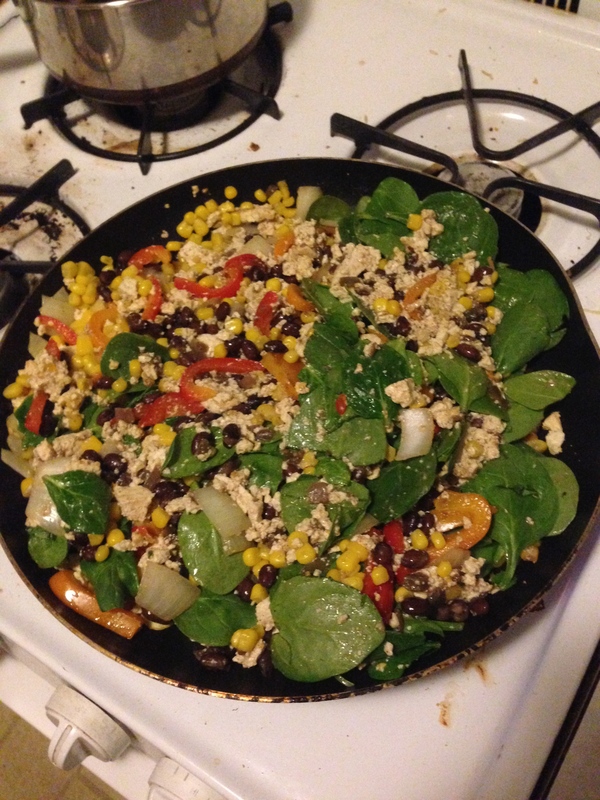 This is an extremely easy recipe and makes enough to feed 4-6 people (or yourself for days) and can easily be adjusted to fit vegan diets. An aside, most vegetarians and others seem to have strong opinions on tofu and soy and its health benefits/environmental impact. I enjoy soy as a nice protein boost and meat substitute, but I suggest only buying organic because non-organic soy has been processed with a controversial solvent called hexane. 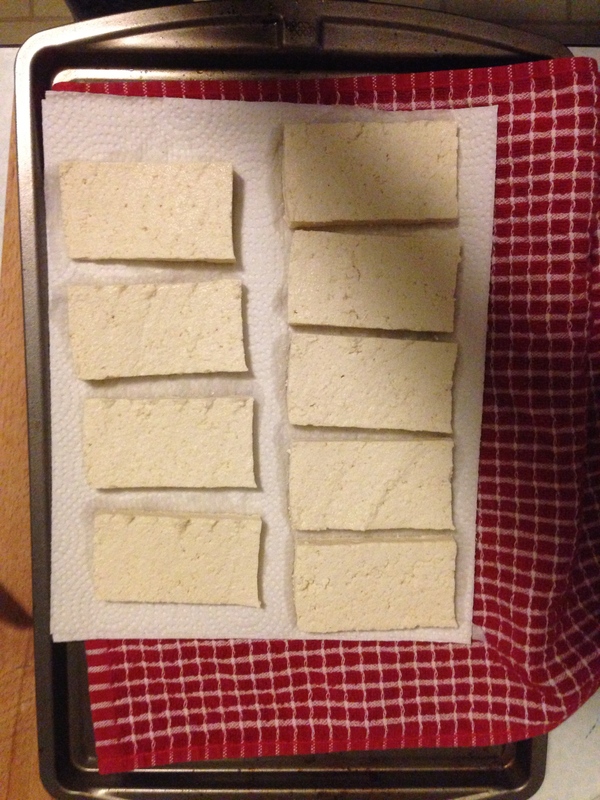 If you’ve never made tofu at home, the first thing you need to know how to do is press and dry the tofu. You can do this for 30-45 minutes before cooking, but sometimes I will leave it out for an hour or so if I have the time. 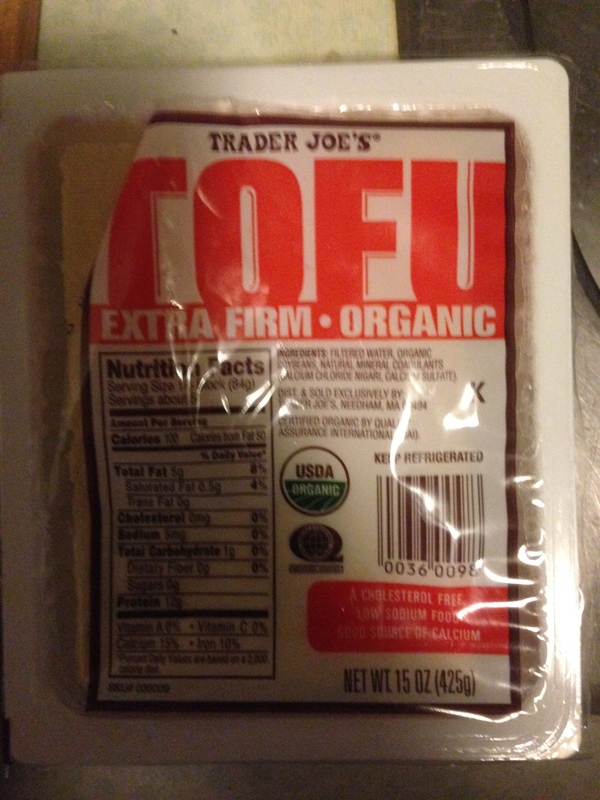 I use Trader Joe’s Extra Firm Organic Tofu. Slit open the sides and drain the water out. 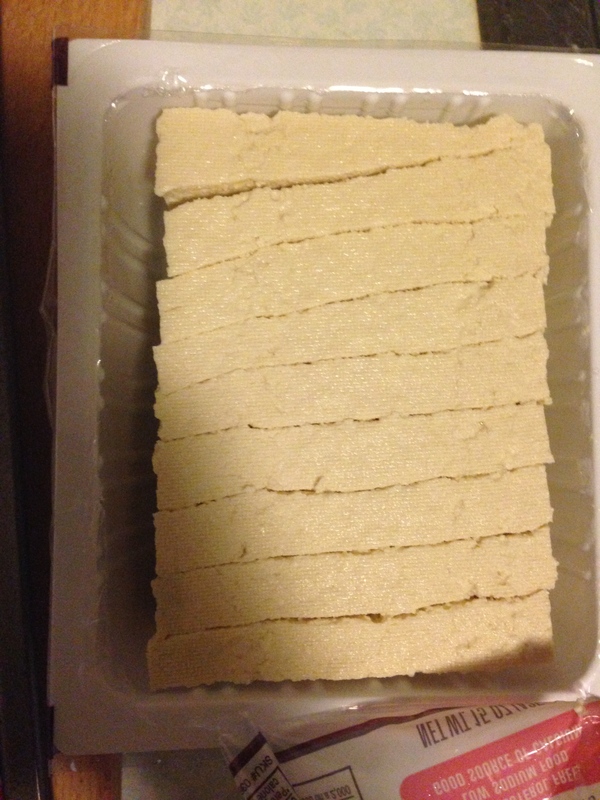 Slice the tofu into 1/2″ slices in the container. 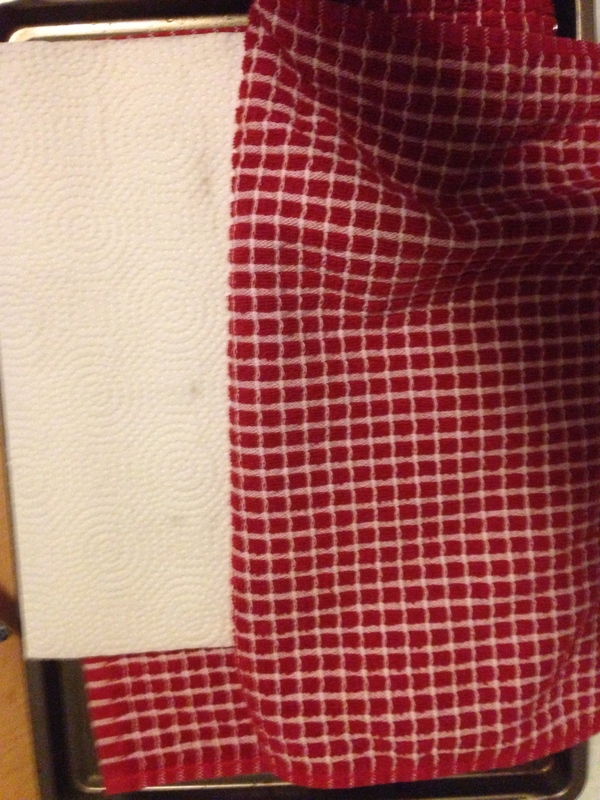 Put down a cloth towel on a hard surface (I use a baking sheet) and lay paper towels three thick on top. Place the tofu slices on top of the paper towels. 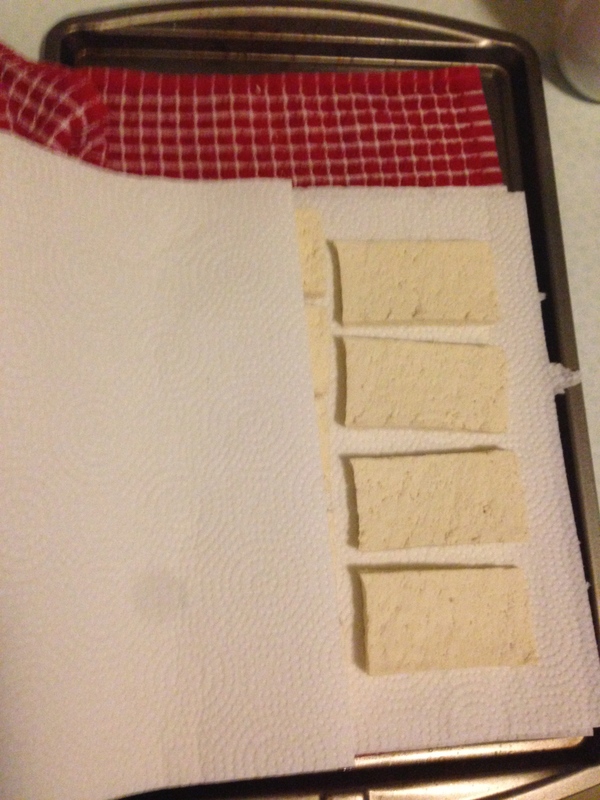 Place three more paper towels on top of the tofu slices and cover with the other half of the cloth towel. Put a hard, flat surface on top of the towels (I used a wooden cutting board) and place heavy objects on top to press the tofu. This will help the towels soak up the water. Replace the paper towels after about 20 minutes. 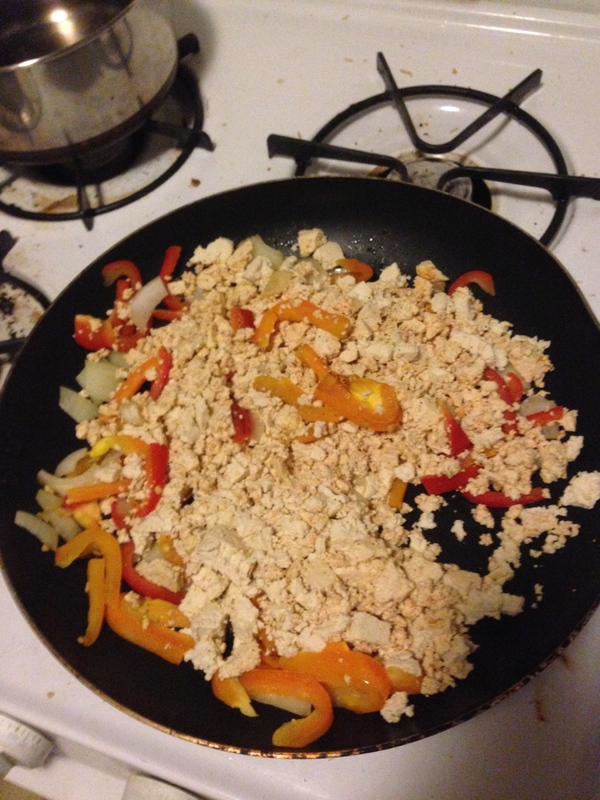 I may do this twice if I am frying the tofu, but it isn’t completely necessary with this recipe. After about 30-45 minutes, the tofu should have lost a lot of its moisture and is ready for the recipe. Grill the veggies in oil until lightly browned. 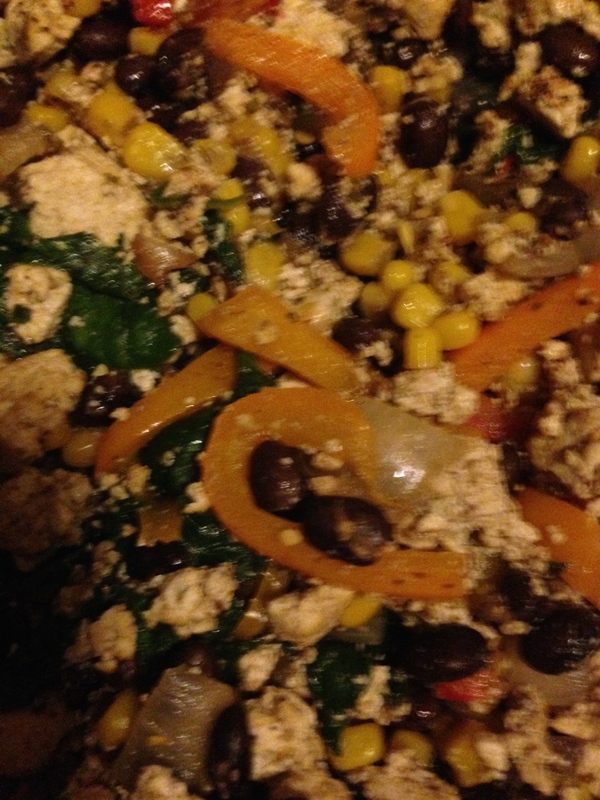 Ground up the tofu and mix in with the grilled veggies. Open and drain your beans and corn. 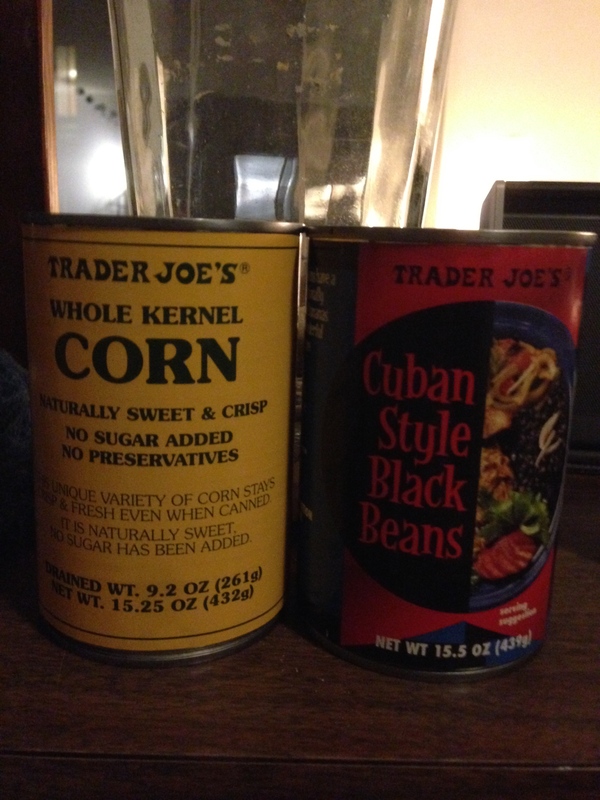 I use Trader Joe’s Whole Kernel Corn and Cuban Style Black Beans. 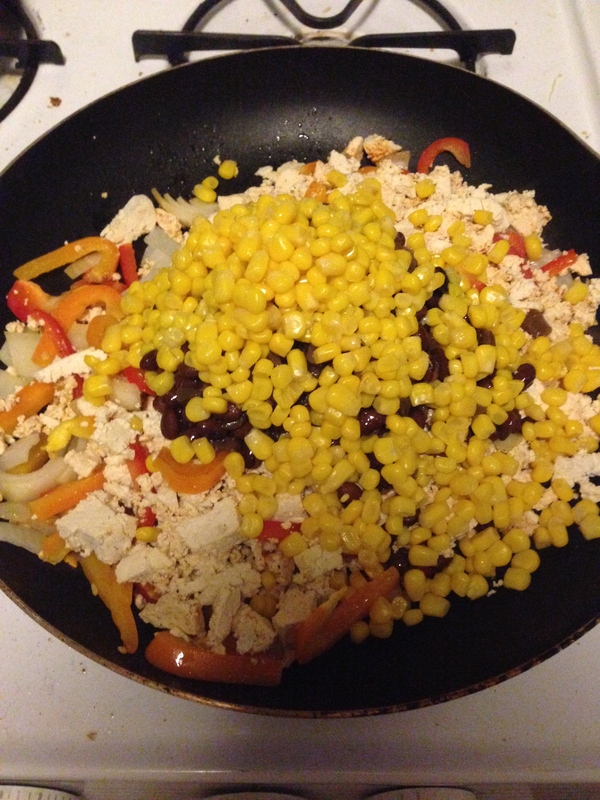 Add the beans and corn. 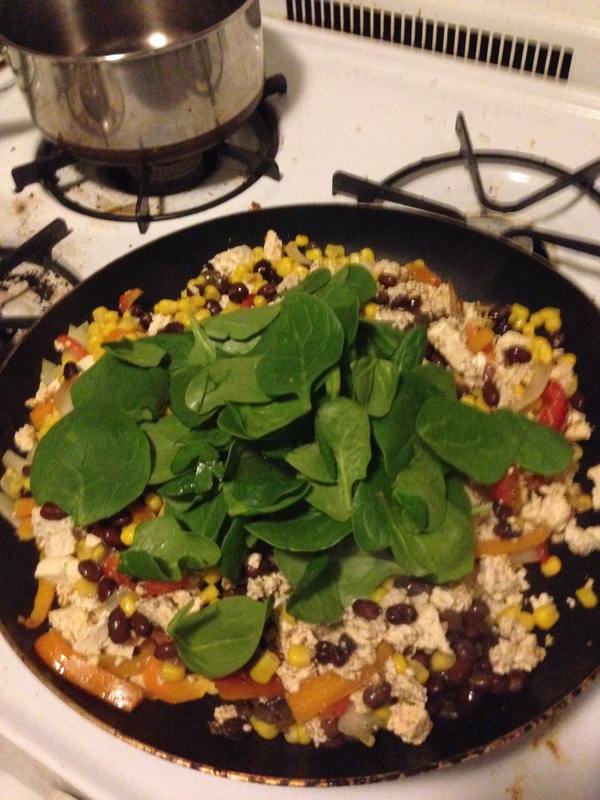 Add in a handful or two of spinach. 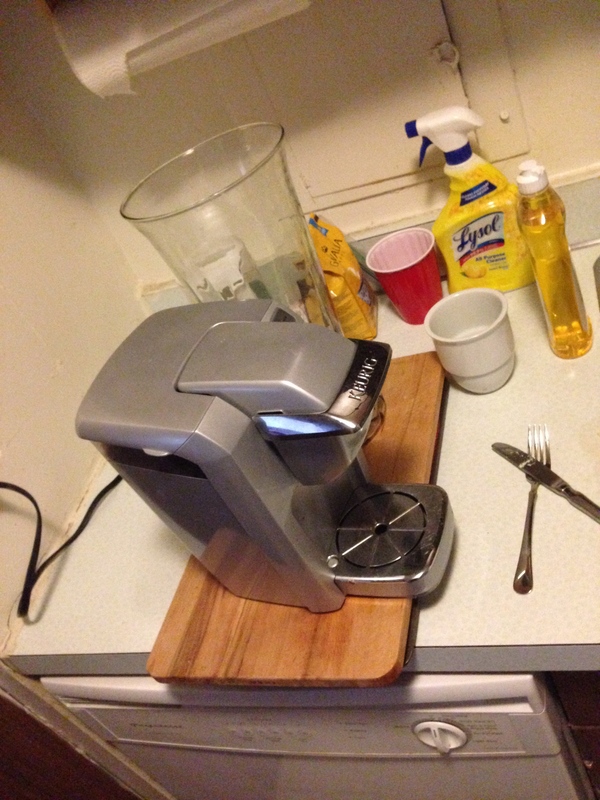 You can really go crazy with it because it cooks down so much. Continue mixing the ingredients together. Add seasoning to taste. 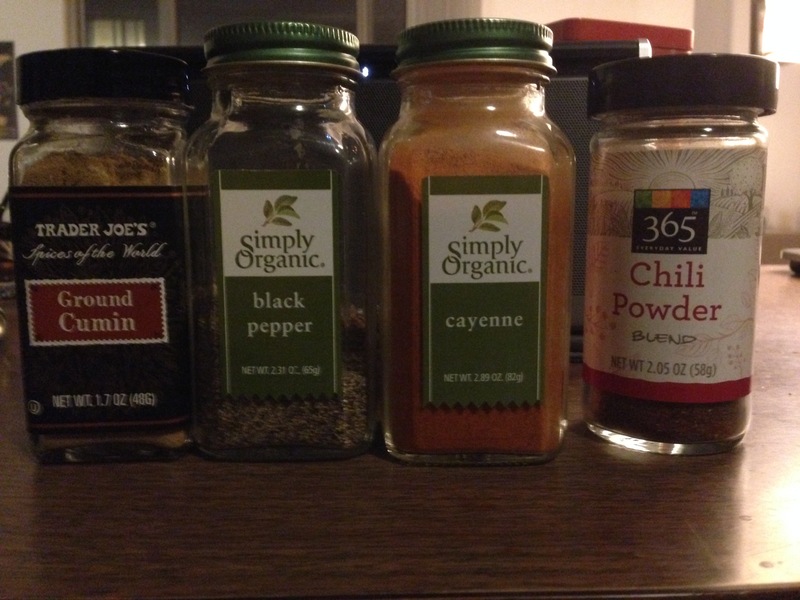 You will probably use more than you think you do so don’t be shy, especially with the cumin and chili powder. This really gives it that tex-mex taste. You can also use a package of pre-made taco seasoning, but I like knowing exactly what ingredients I am using and premade seasoning may contain additives, etc. 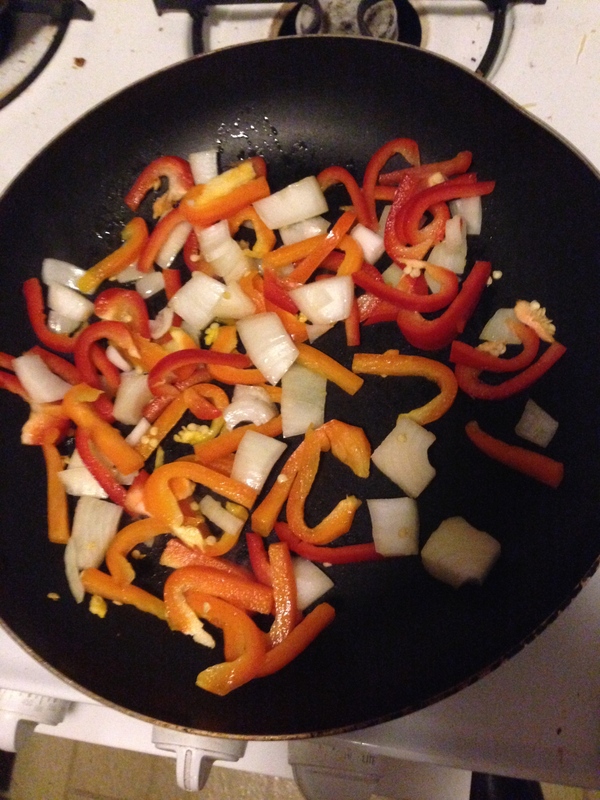 A blurry, up-close photo of what your taco filling should look like when done. So far, the recipe is totally vegan. You can leave out the Greek yogurt and cheese if you want to keep the recipe free of animal products. Clear the pan (or use a new one). 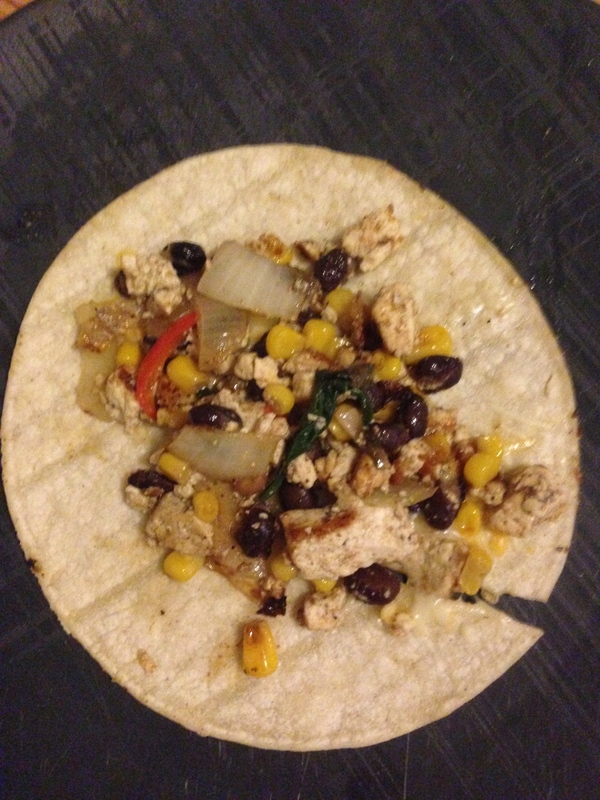 Take a corn tortilla and cook it on one side for a minute or so before flipping. Add cheese and cook until the other side starts to brown and the cheese begins to melt. 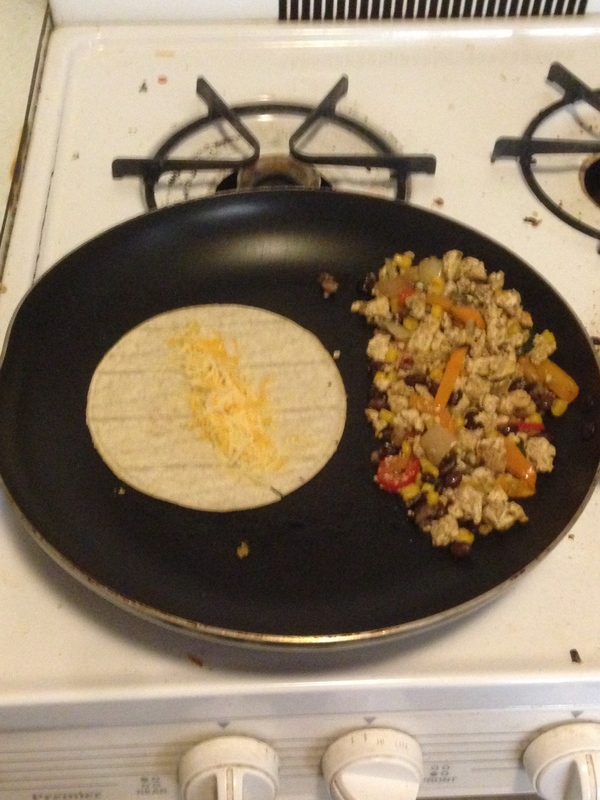 Add the taco filling on top of the cheese. 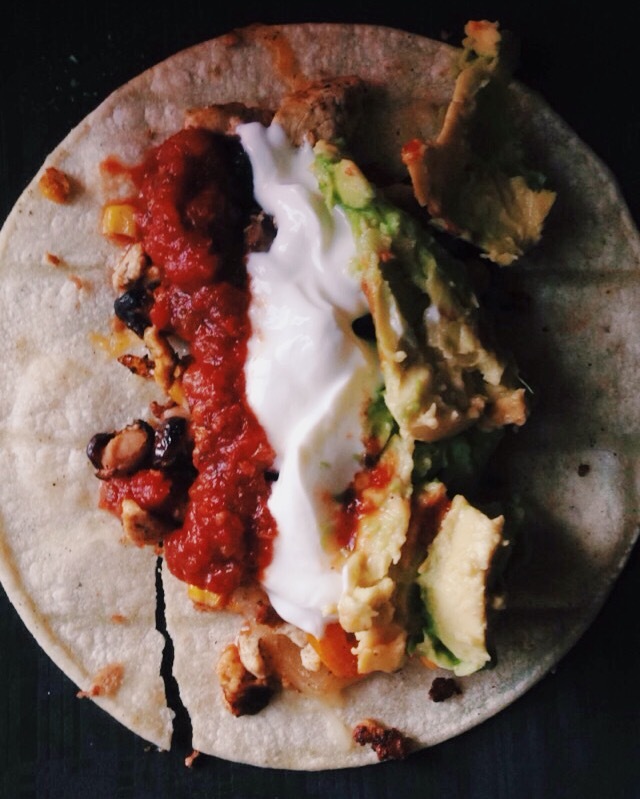 Add a dollop of salsa and Greek yogurt and a couple of slices of avocado. I also use hot sauce. Final product! You can make the toppings look like the Hungarian or Bulgarian flag if you wish (this one is Hungary)! You can also use the filling on nachos or add it to mac and cheese or any other dish you like. Hope you enjoy these tacos as much as I do!